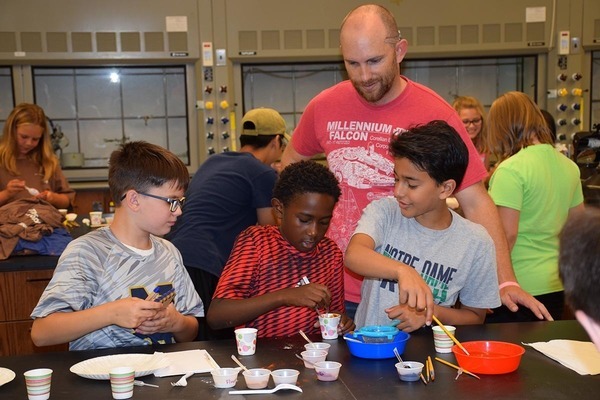 Graduate students are invited to help ND Energy with Art 2 Science, a camp held on campus for 8-12 year olds on July 11, 12, 18, and 19. Contact Anne Pillai, apillai@nd.edu, for more details. Sponsored by the Joint Institute for Nuclear Astrophysics, Center for the Evolution of Elements (JINA-CEE), this camp is an extension of JINA’s Art 2 Science after-school programs, which seek to ignite stellar imaginations through an integrated STEAM approach to learning. Participants learn about math, science, and engineering through creative hands-on projects including art projects. Activities are designed by collaborations with local artists, science teachers, and more. ND Energy participates in the Art 2 Science Camp, encouraging young scientists to learn about the wonders of energy.